The internet gives us an incredible ability to connect with knowledgeable people. To learn. To improve. To be mentored. Also, I'd be remiss if I didn't mention the wonderful cat videos it delivers. More and more coaches see this opportunity and are providing some level of online fitness coaching. It let's them help more people, make more money, spread their message more widely, and allows them to spend less of their time working directly with clients in a gym. And that's all fantastic... I totally get the appeal! I've learned excellent tips and ideas from various coaches online. I've also done Skype consults with other coaches I admire to pick their brains about things they're excellent at. And when I competed in Olympic weightlifting, I hired a coach online to help me fine-tune my program, so could just train without second guessing my own program. But here's the problem: Online coaching is an absolutely terrible way for novices to learn brand new skills. Imagine trying to learn how to swing a golf club... or swim... or surf via email or Skype. It makes no sense! And neither will online coaching work well for relatively new or early-intermediate athletes trying to improve their strength and fitness abilities. Why? Because there's no replacement for being with a knowledgeable coach who can react to what you're doing in real time, and make the appropriate adjustments. That's how you'll gradually master the skills in the shortest time... That's how you maximise your progress, build on your positive momentum, and minimise your risk of injury. After my 10-years of coaching, one thing I'm certain of is that the basics of exercise - squatting, hinging (deadlift variations), upper body pulling and upper body pushing - are skills that need time and hands-on coaching to refine if you want to get good at them. The finer points don't usually come naturally. And especially when we start training, we can't see the mistakes we're making, and we don't yet know how the movements should feel. Most of the people I work with have never received properly detailed technique coaching, and they're shocked at how small adjustments boost their performance, take away aches and pains, and what it feels like when the right muscles are engaged. This is even true for many clients who're strong, fit, and have years of gym experience! I'm sure some coaches have figured out ways to do an OK job via online coaching, but in my experience, the end result just isn't as good as in-person coaching. Watching videos from the comfort of your home or on your phone at a Goodlife might seem more convenient, but I'd argue that the cost benefit of that convenience isn't quite as good as it might seem. NUTRITION COACHING: One thing that does work very well online is nutrition coaching. In depth Skype conversations, quick emails, and a few downloads will cover everything that's needed. 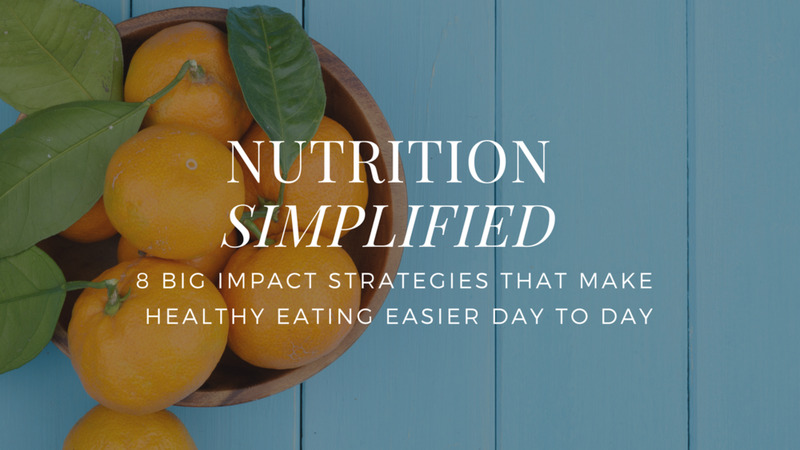 An online nutrition coach can send emails and texts to check in and hold you to account... Plus it's uber convenient since you can keep up with your sessions from home or on the road. The only downside of online nutrition coaching is that your coach can't personally take detailed bodyfat measurements for you. But for 99% of people, using a tape measure at home is more than sufficient... And I know lots of clients who've switched to online coaching don't miss their dates with my callipers in the office! STRENGTH COACHING FOR ADVANCED ATHLETES: Individualised program design for upper-intermediate and advanced athletes can also work well. Nothing beats having your coach watch your workouts to see what you're struggling with, how you're moving, and how subtle variables change over time in relation to the training plan, life stress, etc. But, most advanced athletes have mastered their technique and just need an effective program they can trust. If you find yourself keen to work with a coach who isn't in your neighbourhood, you can also set up a camera where you workout and send a few videos to your coach so they can suggest any necessary tweaks. I've thought deeply about in the relative merits of online fitness coaching as I've worked on creating my own videos, built up an awesome group of nutrition coaching clients around the country, and launched the PR Coaching School that features online courses. And as much as I'd love to be able to put everything I know and love about fitness and strength training into courses that I could share with a ton of new clients, I won't. Because the inconvenient truth for my digital business model is that most people are far better off finding a decent coach who they can work with in person than an incredible coach who they work with online. What I will continue to do is produce detailed, step-by-step do-it-yourself guides (like my Chin-up series) to help provide guidance to clients working through very specific issues. I'm also proud to do online nutrition coaching. In these areas, it's possible to do an excellent job with online. But what I won't do is compromise my standards and care for clients to become a fitness coach for newer trainees over the internet. I don't think it's possible to do a complete job. The most honest thing I can say on the subject of online coaching is this: For nutrition or lifestyle coaching, online coaching works just as well as in person. Just find someone who you think will be a good fit - it might even be me! If you want to start getting strong but don't live close enough to work with me at my home gym Quantum CrossFit, the find someone good and someone local. I can't in good conscience take your business.